10 days worth of land workouts and flexibility. This plan is broken into 2x 1 week plans. Week 1 & 2 are divided into Days 1/3/5 and Day 2/4. The ODD days have a dynamic warm-up, tabata, ankle and knee extension, active and passive flexibility as well as injury prevention. The EVEN days have a dynamic warm-up, synchro specific dry land, ankle and knee extension, active and passive flexibility as well as injury prevention. There is an increase in the repetitions of certain exercises from week 1 to week 2. There are 3 different levels built into the land workouts. Easy/Moderate/Challenge. Do you want to get stronger on land? Do you want to prevent shoulder injuries? Do you need something to do over the break? Do you need some guidance on what to do? Maybe you just need some new ideas. Perhaps you need something for your swimmer to do over the break. There are 10 days worth of land workouts and flexibility. It is broken into 2x 1 week plans. Week 1 & 2 are divided into Days 1/3/5 and Day 2/4. The ODD days have a dynamic warm-up, tabata, ankle and knee extension, active and passive flexibility as well as injury prevention. The EVEN days have a dynamic warm-up, synchro specific dry land, ankle and knee extension, active and passive flexibility as well as injury prevention. There is an increase in the repetitions of certain exercises from week 1 to week 2. 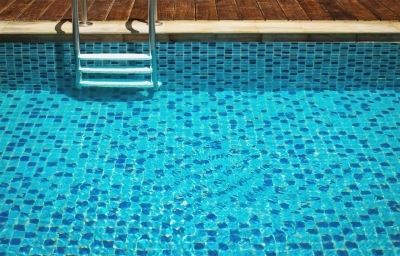 There are 4 BONUS water workouts in case you cannot stay out of the pool. The skills included in the water workouts are for sculling maintenance and routine fitness maintenance. There is a BONUS section for land drill. There are BOXES for you to check off as you complete it. You will be sent a link to a welcome video and another link to the exercises in the program . Well, I created it for a few reasons. 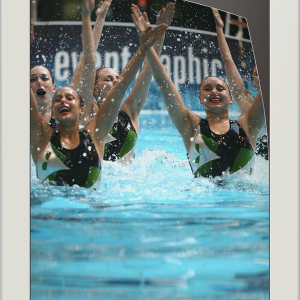 Synchro swimmers often get a 2-week break in December in which there is no training. The body does need time to recover, however taking 2-weeks off with no deliberate training can put you 6 WEEKS BEHIND. 2 weeks behind due to no training, 2 weeks of lost training opportunity and 2 weeks that someone else has gained on you if they have trained. Without a plan we are all less likely to follow through on our intentions. Swimmers can get stronger in key areas in synchro WITHOUT having to get into the pool during a break. When the break is over the first practices back will not feel as bad and training over the break may prevent some injuries. For more information email me at vanessa@theonlinesynchrocoach.com.